Climate & Me is a program started by Paulette Richards, Organizer for Women In Leadership Miami. Climate & Me focuses on providing youth in Liberty City with education on Climate change and how it affects the community they live in. Youth explore both the positive and the negatives of earth's four elements and how they tie into climate change. Climate & Me was founded in 2015. THE CLIMATE & ME SUMMER CAMP LAUNCHED IN SUMMER 2016. BECAUSE IT WAS THE FIRST PILOT PROGRAM IT ONLY RAN FOR A WEEK. 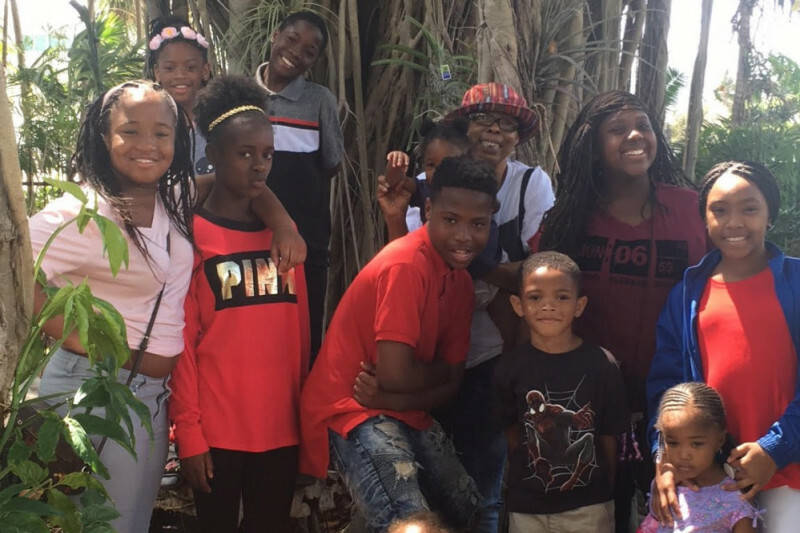 DURING THAT WEEK THE CHILDREN HAD ACCESS TO FACILITATORS FROM THE CLEO INSTITUTE & FRIENDS, THE MIAMI DADE OFFICE OF RESILIENCE, THE RED CROSS, UNIVERSITY OF MIAMI, WOMEN IN LEADERSHIP MIAMI, AND CATALYST MIAMI, WHERE THEY LEARNED ABOUT CLIMATE AND ITS IMPACT, EMERGENCY PREPAREDNESS, AND RECYCLING. THE KIDS ALSO HAD A FIELD TRIP TO THE COMMUNITY GARDEN AND LEARNED ABOUT THE IMPORTANCE OF GARDENING AND COMPOSTING. SUMMER 2017 WILL IMPLEMENT A 6-WEEK CLIMATE CAMP. EACH WEEK WILL FOCUS ON VARIOUS ASPECTS OF CLIMATE CHANGE AND ITS EFFECT AND IMPACT AND WHAT ROLE STUDENTS CAN PLAY IN IMPROVING IT.